We all know that creating a beautiful, relaxing space inside your home is important. But what about your outdoor space? It’s easy to write off this space and simply put out some chairs and a table and call it a day. However, your porch or patio can be just as beautiful and comfortable as an indoor space. In fact, you can make it so stylish, you may not even be able to tell the difference between the interior and exterior of your home. If you’re someone who loves to spend time outdoors, there is no reason your outdoor space should be anything less than inspiring. It deserves as much attention as the interior rooms in your home. Today, it’s very easy to find outdoor furniture and decor that can survive the elements while providing both comfort and style. 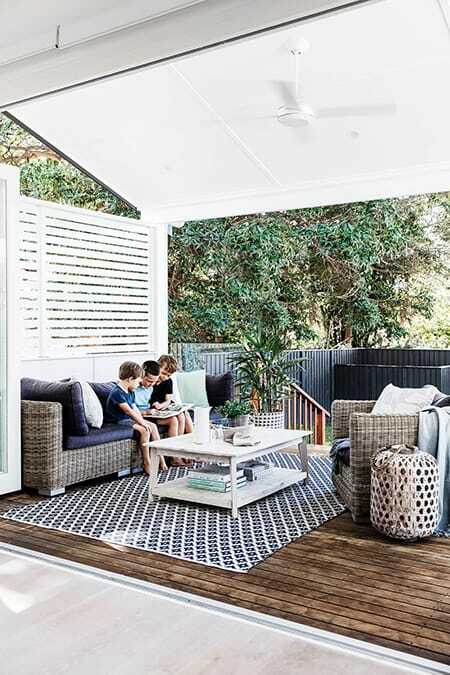 Here are some inspiring outdoor living areas that are so beautiful, you’ll be hard-pressed to want to go back inside. 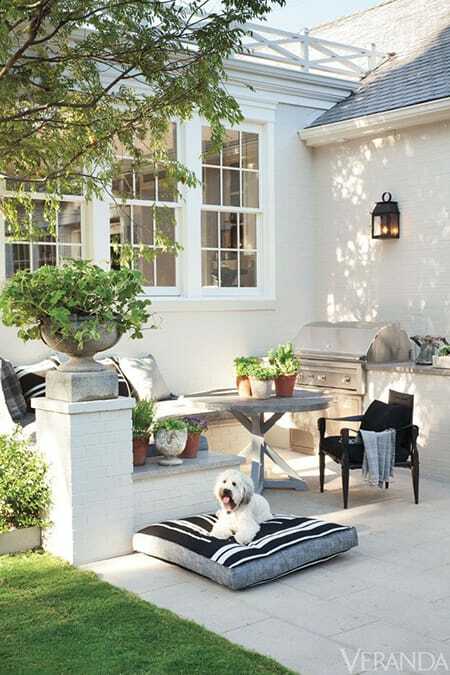 Beautiful potted plants carry the outdoors into this elegant patio. 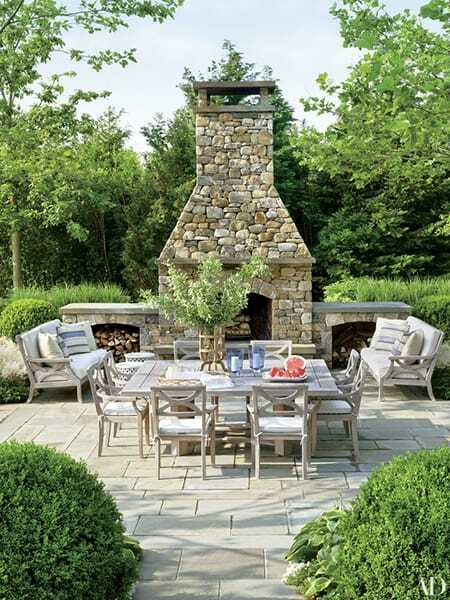 A gas fire pit serves as a focal point to this seating area by the pool, combining two natural elements. 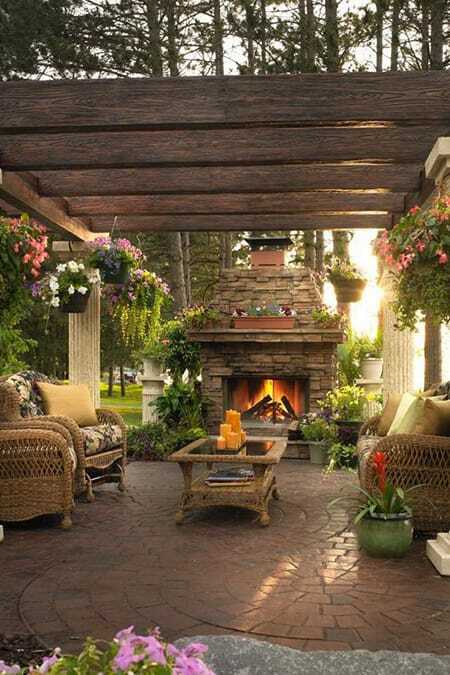 A lovely stone fireplace creates the feeling of a cozy living room on this patio. At first glance, it’s easy to think this spacious living area is indoors – but it’s not! The brown in the dining area creates a beautiful contrast with the white living area. 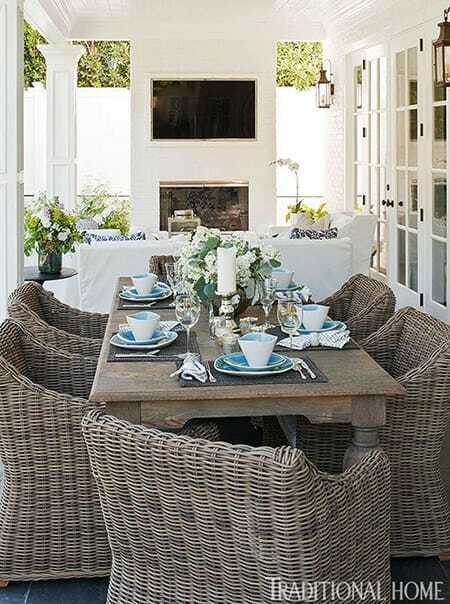 This patio is spacious enough for a large party yet cozy enough for small, intimate gatherings. 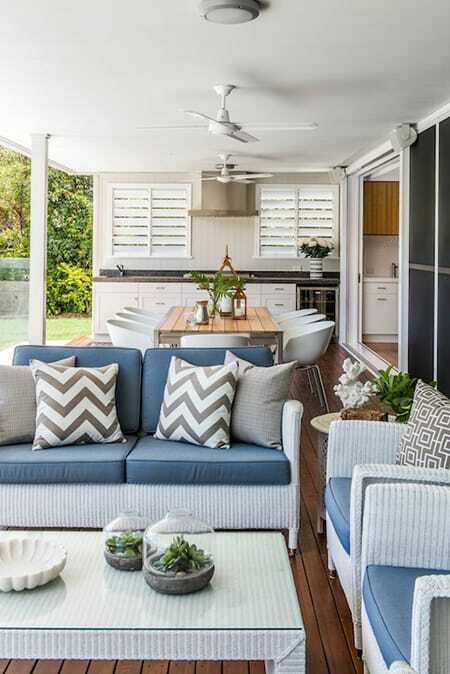 An area rug is a great way to define an outdoor living space and make it feel more like an indoor room. 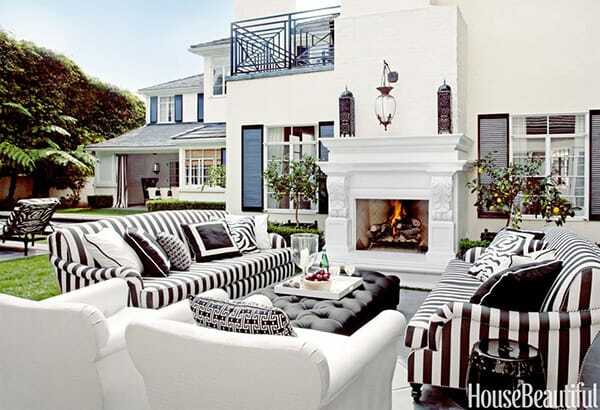 How chic and glamorous is this black and white outdoor space? Don’t forget to include a spot for your furry family members, too. Love the bar area, stonework, and chic furniture on this gorgeous patio.